Click on ‘VARSITY’ above, then ‘ROSTER’ for wrestler profiles. When athletes leave for the real world they will always remember the relationships they have formed, understand that it takes a commitment on their part to reach a goal, and use the leadership skills they have learned to help others be better people. You now have the convenience of becoming a member of the WHS Royals Wrestling Booster Club (Takedown Club) online! In addition, there is an option of having convenient monthly payments. Click here, the image to the left, or the link to the Booster Club page just above and become a member today! As an FYI, as of now, payment plan options go up to 3 months and will be taken out on the 28th of each month. We will update as more options become available! 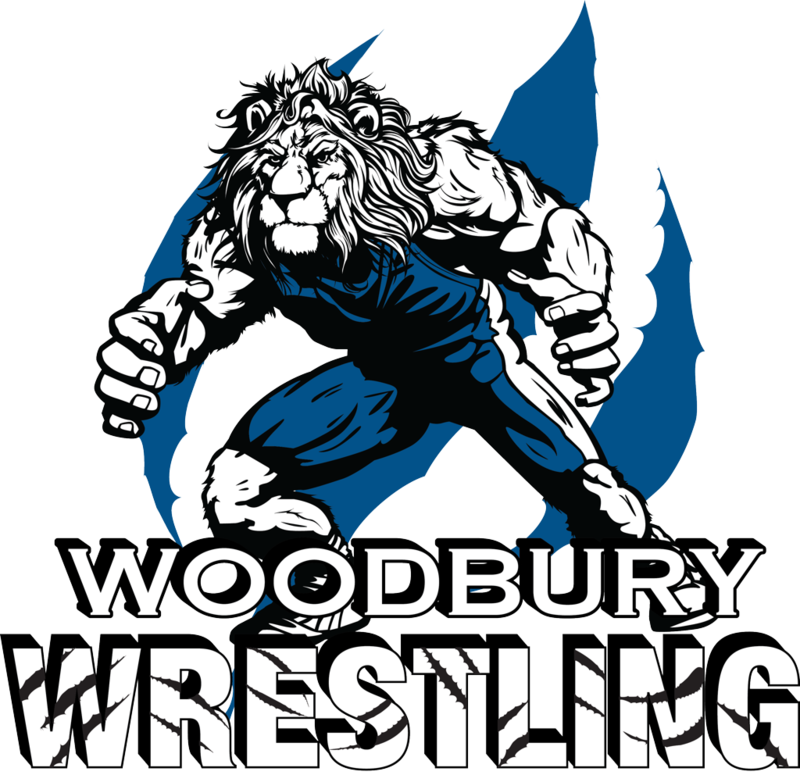 Follow Woodbury Wrestling on Twitter and Facebook! Freestyle season starts on March 28th and runs through May 12th. All sessions are held in the WHS wrestling room and run on Tuesday and Thursday nights from 6:30-8:00pm for high school wrestlers. Our annual trip to Luther College in Decorah, IA has been set. Dates will be July 10-13, 2019. We look forward to having a HUGE showing this year! THANK YOU TO OUR SENIORS! To our seniors: Phil, Cedric, Sam, Donald, Cole and Brady--THANK YOU for your leadership and decication to the Royals wrestling program! You have given much to the program and we wish you the best in your endeavors going forward. Donald, Cole and Brady--WOW. All 3 of you finished your careers in the top 12 in Woodbury HS history for total wins. We thank you for continuing to make the program what it is today. And good luck to Cole (Augustana) and Brady (UW-Eau Claire) as they continue their wrestling and academic futures next fall. CONGRATS TO DONALD ON REACHING 100 VARSITY WINS! WRESTLERS OF THE WEEK!! Congrats to junior Tre Hockenberger & sophomore Sebastian Zamarano! Both had a fantastic week of practice and a great showing at last week’s quad!! ALUMNI SIGHTING! Thanks to Royal Wresling alumnae Austin Braun, Max Fick, Brad Murphy, Gavin Bradley and Zane Schaffer for coming to the Forest Lake dual! WRESTLERS OF THE WEEK! This Week’s Royals Wrestlers of the Week are freshman Ahmed Abdelal and Senior Donald Nde, Jr. Both were dominant at this past weekend’s Woodbury Duals and helped the Royals finish 2-1 in the tournament. CONGRATS TO COACH SMITH ON REACHING 150 CAREER DUAL WINS! CONGRATS TO BRADY ON REACHING 100 VARSITY WINS! WRESTLERS OF THE WEEK! Royals Wrestlers of the Week: Dave Hawley & Brock Rinehart. Dave was undefeated on the week and claimed the JV title at the Osseo Invite. Brock picked up his 100th career win, while going unbeaten and winning the title at Osseo. CONGRATS TO COLE AND BROCK ON REACHING 100 CAREER VARSITY WINS! Woodbury Wrestling is excited to announce the additions of All-Americans Clayton Jennissen and Uthman Rabiu, who will be joining the coaching staff this coming 2018-19 season. Jennissen was a team captain at St Cloud State University during the 2016-2017 season, was 2nd team All-NSIC and won 27 matches that season. He was awarded the Jim & Dave Hazewinkel Tough Man of the Year Award. He was awarded All-American honors after he took 7th place nationally at 174 lbs in 2016. Rabiu was at team captain at St Cloud State during the 2016-2017 season as well. He earned All-American honors after taking 8th place in the national tournament at 184 lbs in 2016. We are thrilled to add this coaching talent to the room starting in the 2018-2019 season! Welcome to both coaches!